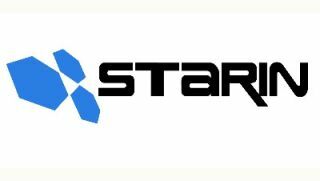 Starin Marketing has added Greg Dieckhaus, CTS, as a new business development team leader, and Rick Sanchez as team business development manager. Dieckhaus, a former Whitlock manager, comes aboard Starin on the anniversary of his 31st year in the AV and communications business. Based in Tampa, FL, he will be tasked with leading the business development team that covers the Southeast and parts of the Midwest. Dieckhaus’ experience includes regional operations management, design and technical leadership, solution engineering, control programming, client relations, and system support. Formerly the senior inside sales manager at JB&A Distribution, Sanchez will lead the business development team that covers the West Coast along with several states in the Rockies. Sanchez’s experience includes the ability to construct complex hardware options for media, entertainment, and the corporate environment. “In the grand scheme of things, Starin brings value to the industry by developing deep, lifelong business relationships— not just with its customers, but with many tenured employees. That is what attracted me to Starin,” Sanchez said.